CUPERTINO, Calif. — This is the first group photo of Apple’s new Industrial Design team — the men and women behind the iPhone, iPad, Apple Watch and a long string of other hit products. The group is super-secretive and rarely appears in public together. In fact, they’ve only been pictured once before. This picture was taken at the end of Tuesday’s launch event, when many of the journalists had been ushered out. 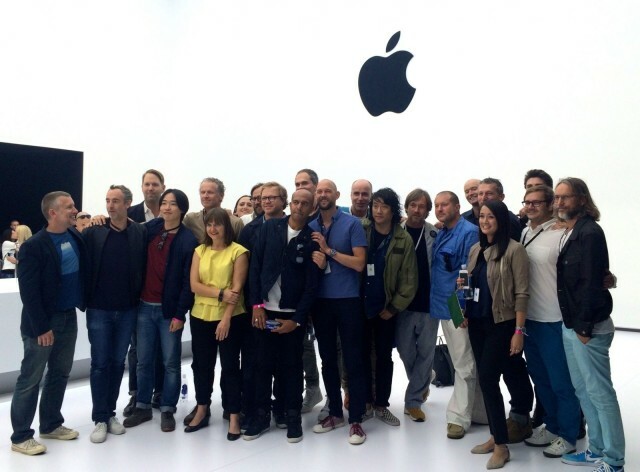 In the middle is Jony Ive and the team’s latest and highest-profile hire, star designer Marc Newson. The Industrial Design team is Apple’s idea factory. This is where Apple’s innovation comes from. They design and develop all of Apple’s products, and many of them were working at Apple before Steve Jobs returned in 1997. The 22-person team works under the guidance of Sir Jony Ive, Apple’s senior VP of design. They toil in Apple’s ultra-secretive Industrial Design studio, a steel-and-concrete enclave locked behind a very big door and frosted windows on Apple’s campus. The studio was where Steve Jobs spent most of his time before he died, working on new products with Ive and his team.